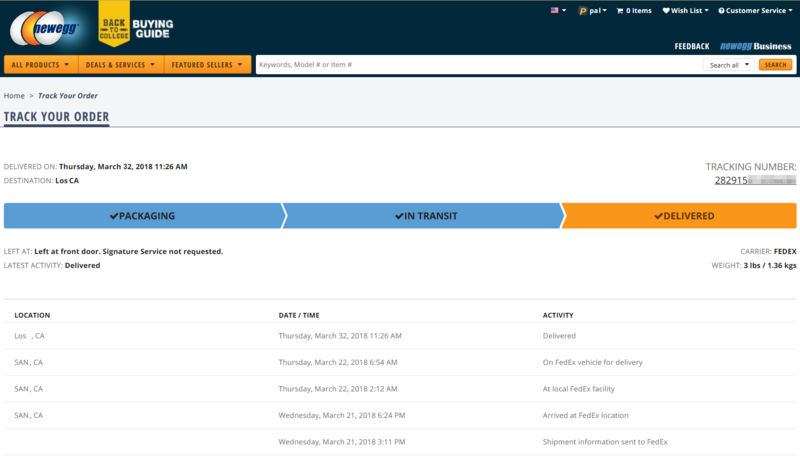 This tutorial will guide you through the process of how to track your package. First, once the warehouse has prepared your order to ship, you will receive an email with the tracking number and package content. Typically, you may track your package the same evening or the following business day. To track your package, click on the tracking number, or copy and paste it onto the shipping carrier’s website. You will receive a tracking number for each package that ships separately. So if you have products shipping from different warehouses, you will receive multiple tracking numbers. 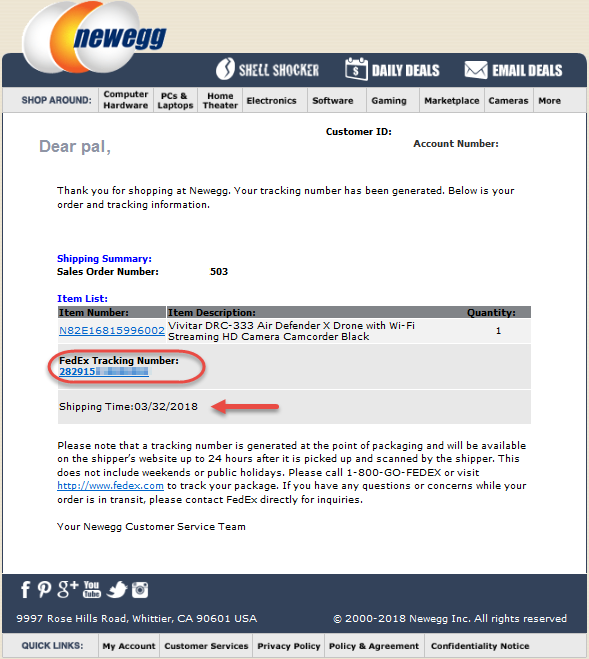 You may also log in to your Newegg account and retrieve the tracking number under the Order History option on the left side of the page. You may click on the tracking number hyperlink or copy and paste the tracking number onto the shipping carrier’s website. The tracking information will be provided once the shipping carrier has picked up your package and scanned it in to their tracking system. Once the shipping carrier has scanned the package, the tracking status will show an origin scan or something similar. Your package should then be delivered within the shipping timeframe you selected. NOTE: Packages shipping into the United States from overseas will not have tracking information until the package enters the country. Once the package reaches the U.S., you can enter your tracking number on the USPS website. The shipment notification was sent out to you before the package arrived at the delivery carrier’s terminal to be scanned. This accounts for most of the tracking errors, and if you just wait a few hours, it will show the scan and tracking progress. The shipment notification was sent out to you today, but the carrier does not pick up the package until the following day. This is a common timing issue in a large distribution center. The carrier might have picked up earlier that day, or the package may have still been on the conveyor when the carrier left the facility. When tens of thousands of packages are being processed, it is not unusual for some processed packages to still be on the conveyor belt when the carrier leaves. Your package was sorted into the wrong trailer. If a carrier receives a package that is not theirs, they will return it to our distribution center, but it will not likely show any tracking events. We will then give it to the correct carrier, but it can show 2-3 days of no transit when you go to track it. Packages are loaded into trailers, and they rub up against each other. Sometimes this rubbing will tear the label or cause it to come off altogether. 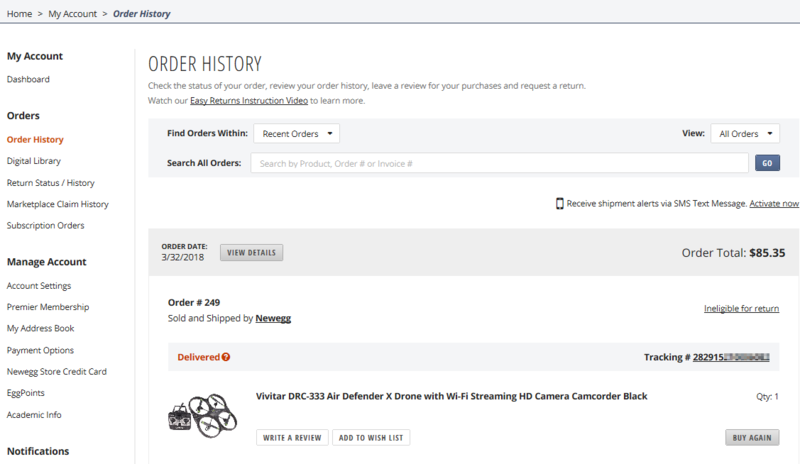 This would show no tracking events at all and would require that we ship you a replacement order. It is remotely possible for a package to receive two labels or no label. These are most often caught before they leave our facility, but once in a while, one will get by. These last three events are remote, but knowing that they can happen, we have a process in place to address them. Two business days after we show a package shipping, we will check the carrier’s transit on the tracking number. If no transit is seen, we will trigger an investigation at the distribution center to determine if a replacement order needs to be shipped.